Abbey Flyer Users Group – ABFLY – Abbey Line ‘Steam Dream’? Next year will mark the 160th anniversary of the Watford to St Albans Abbey branch line, and in celebration the Abbey Flyer Users’ Group is looking to organise steam specials to take place on the weekend of 5th and 6th May 2018. The specials would most likely operate as a substitute for the regular London Midland electric service on a broadly hourly timetable, stopping at every station, running all day on either Saturday 5th May or Sunday 6th May or, depending on demand, both days. 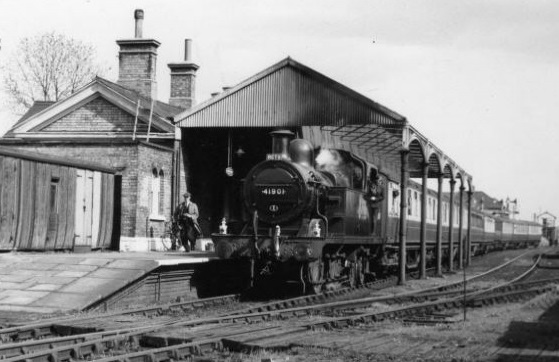 Due to the lack of run-round loops the train would be a 4- or 5-coach formation ‘top-and-tailed’ by at least one, possibly two steam locomotives. To assess the likely demand for such an event we are asking people to register their interest now, via the form below. Update : Unfortunately the costs to do this and the demand meant that there was a high risk for this to result in a loss for the organisation. We have passed this to the Community Rail Partnership in the hope they would support it, if this does happen then we will post an update.